Sunday in South Mississippi finds us training and socializing. Supporting each other. Encouraging those around us. New triathletes. Old friends. Jim worked with the new folks. Going over drills and the fundamentals. 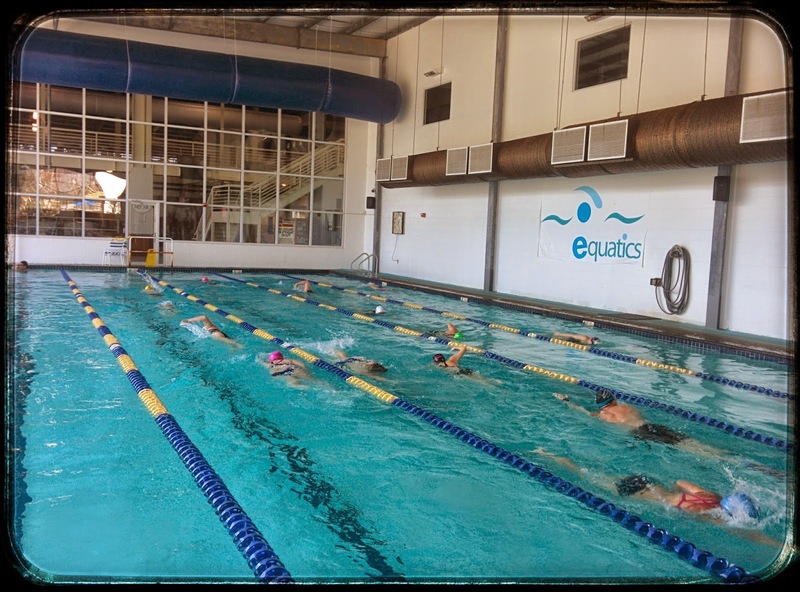 Helping to get the beginners more comfortable with their form and the idea of swimming for distance. What most of the folks don't know is that open water is night and day different from the pool. My own experiences were full of struggle on ALL levels. It took me many months to find my own form, talking to myself non-stop in open water: "Be cool. Be cool! BE COOL!" Hopefully this next generation of competitors has a more pleasant experience. 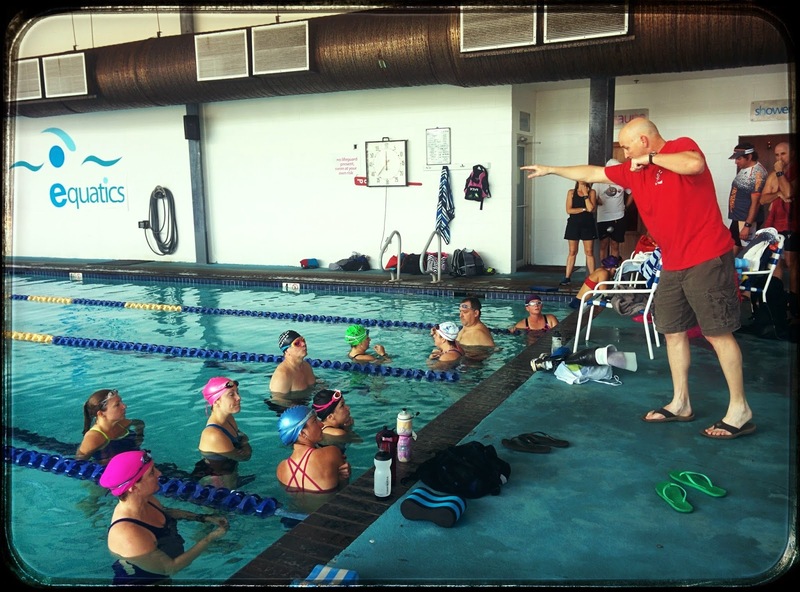 At the same time, the intermediate and more advanced folks swam with Brian Harris. They worked on improving their stroke. Usually trying to maximize their "glide." Reaching. Twisting. Minimizing wasted motion. All tough stuff to master. But Brian knows what he's talking about and knows how to teach people. My training started much earlier. Sara Carter showed up and we swam 3 sets of 600 meters. A mile when you put them together. Odd how we both felt tight until 300 meters, then our shoulders finally relaxed. Sara's amazing. Her fourth swim in a decade (or more) and she is already doing a mile. Gonna be fun having HER chasing me down at the race. 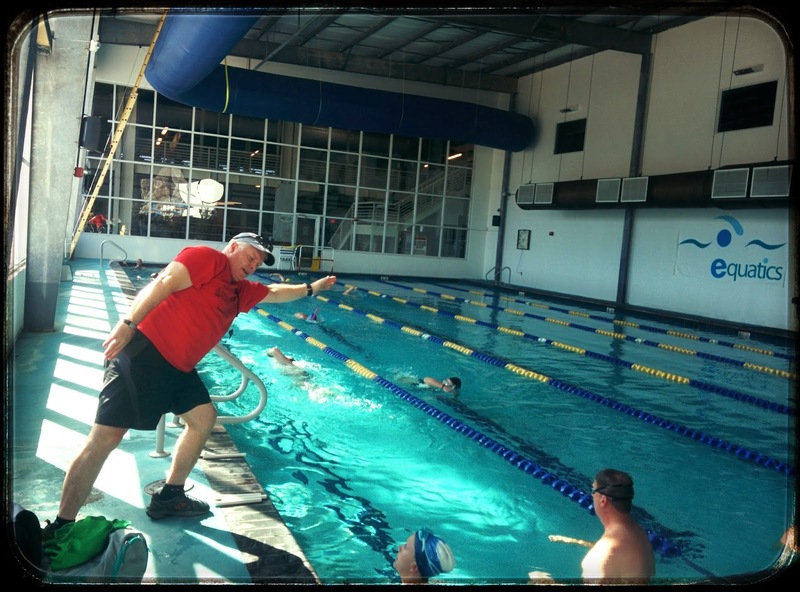 After, the swimming clinic, Allen & JG went over transition preparation and fundamentals. Once again: minimize, minimize, minimize. An abundance of secrets and experience shared by those guys. Once the weather is sure to be cooperative, the group will move to the actual race site and we'll put those skills to the test. Won't be long, now. Then the REAL training begins.